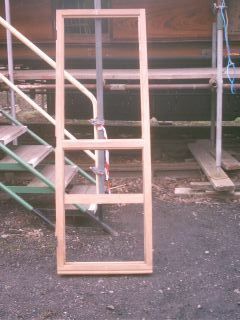 could be done at this stage. 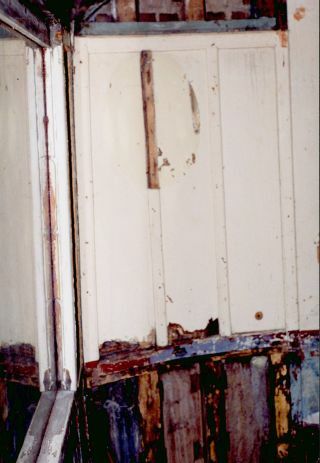 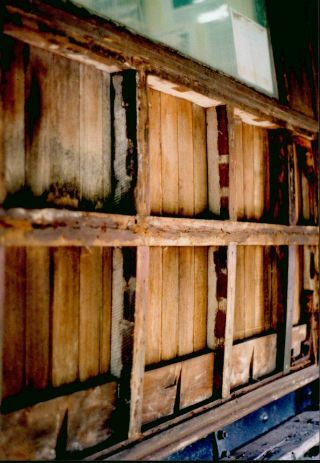 rotten timber and superfluous bits of plywood were but a few. 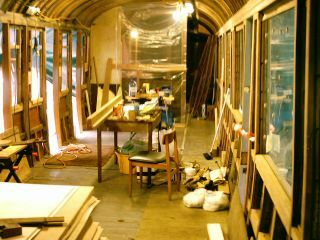 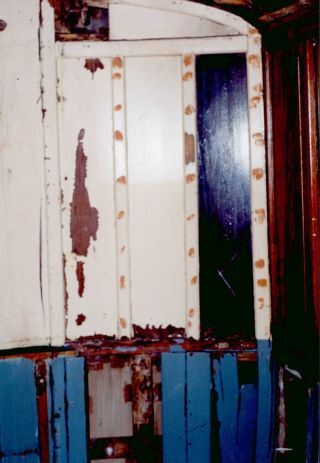 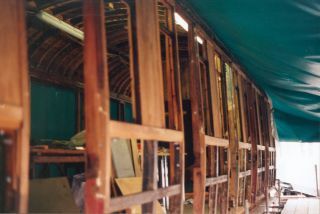 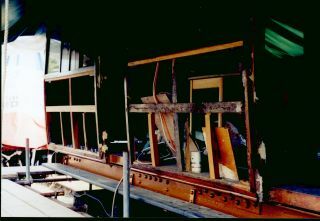 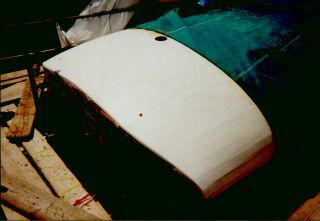 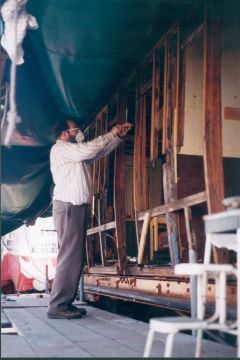 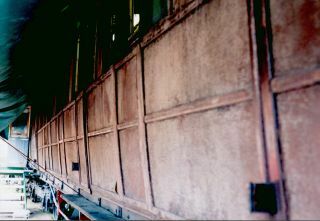 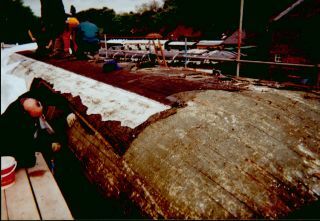 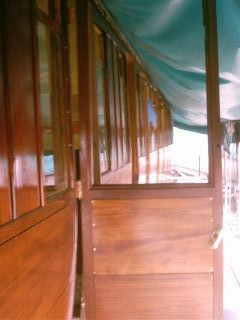 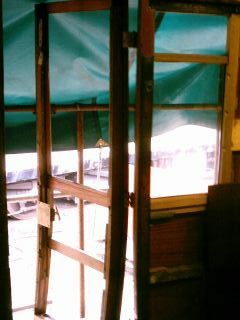 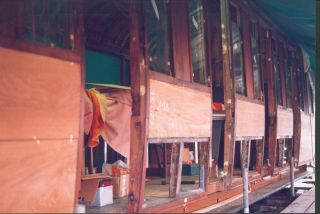 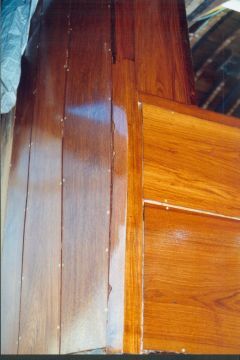 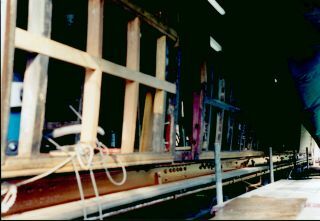 The frames were repaired using new Teak. 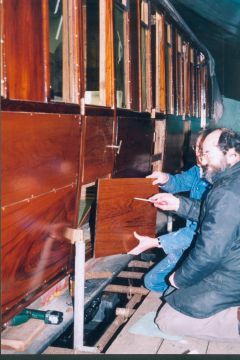 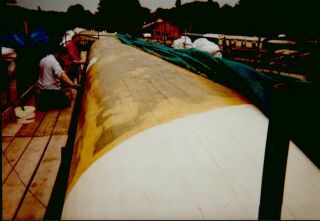 The first coat of varnish was then applied. 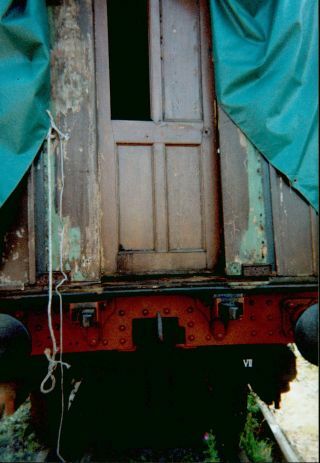 The doors were repaired by a professional joiner. 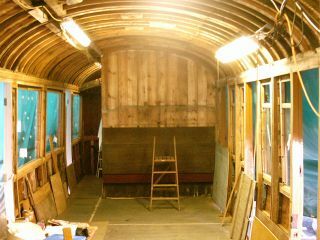 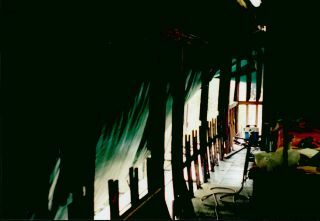 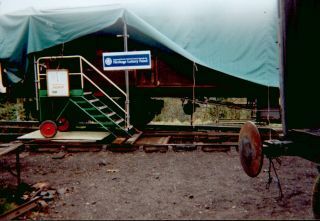 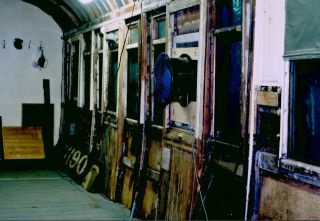 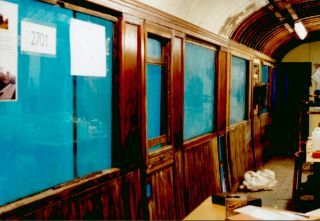 The interior area was used as a workshop. 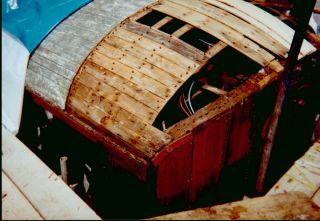 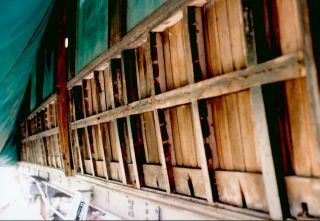 and replace the roof boards at both ends. 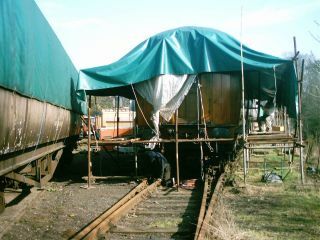 The fitting of the new canvas required as many of the gang to be site as possible. 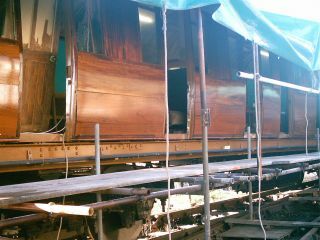 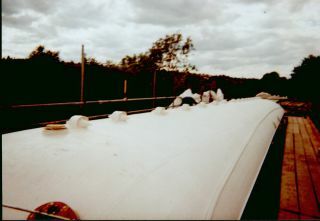 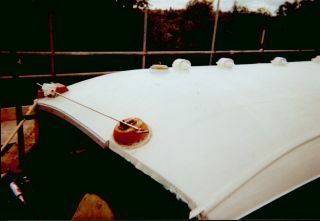 With the canvas fitted and 3 coats of paint later, the roof vents and emergency break gear were fitted. 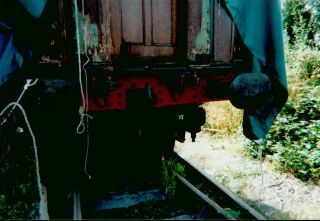 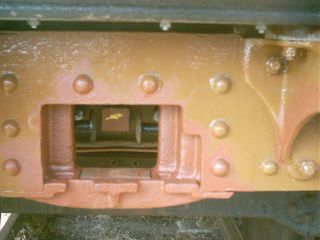 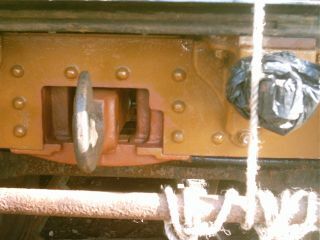 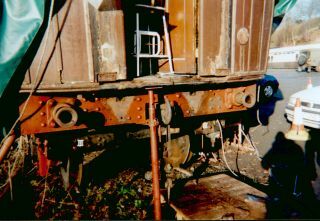 And the coupling hooks were fitted.